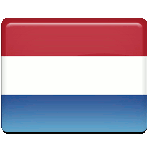 The birthday of the incumbent monarch is a national holiday in the Kingdom of the Netherlands. Since 2014, it has been celebrated on April 27, marking the birth of King Willem-Alexander. The holiday is referred to as King’s Day (Koningsdag). The holiday was first celebrated during the reign of King William III. The king was unpopular with many of his subjects, particularly bourgeois liberals, and the government proposed the establishment of a holiday celebrating monarchy as a means to promote national unity. Since the king was disliked, it was decided that the birthday of Crown Princes Wilhelmina would be declared a national holiday. Princess’s Day (Prinsessedag) was celebrated for the first time on August 31, 1885. The newly five-year-old princess was paraded through the streets of Utrecht, waving to the crowds. When Wilhelmina succeeded to the throne in 1890, the holiday was renamed Queen’s Day (Koniginnedag). After her abdication in 1948, Wilhelmina was succeeded by her daughter Juliana, and Queen’s Day was moved to the new queen’s birthday, April 30. When Juliana abdicated in 1980, her eldest daughter Beatrix inherited the throne. Born on January 31, the new queen decided to keep Queen’s Day on April 30 as a tribute to her mother as well as because celebrating Beatrix’s actual birthday wouldn’t allow to hold traditional outdoor activities. Queen Beatrix abdicated in 2013. Her son Willem-Alexander became the first King of the Netherlands since the establishment of Queen’s Day. As a result, the holiday was renamed King’s Day, and its date was moved to the King’s actual birthday, April 27. When it falls on a Sunday, it is celebrated on April 26 instead. King’s Day festivities are typically organized by local associations known as Orange Committees (Oranjecomité). They include concerts, outdoor parties, and other special events in public spaces, including a nationwide flea market. One of the biggest events takes place in the country’s capital of Amsterdam. An outdoor concert at the Museumplein (Museum Square) may draw as many as 800,000 people, which is only slightly less than the population of the city proper. On the occasion of King’s Day, many people wear orange clothes or dye their hair orange in honor of the Dutch royal dynasty, the House of Orange-Nassau. This phenomenon is sometimes dubbed as “orange madness” (oranjegekte) or “orange fever” (oranjekoorts). Many companies even introduce special orange editions of their regular products before King’s Day as well as before significant sports events, when people also wear orange. Children celebrate the holiday with various games including spijker poepen (in which they have a string with a nail dangling at its end tied around their waste, and attempt to hover the nail into a bottle) and koekhappen (in which they attempt to catch a spice cake dangling from a string in their mouths). King’s Day is officially celebrated in the constituent countries of the Kingdom of the Netherlands, including Aruba, Curaçao, and Sint Maarten. Although it’s also an official holiday on the island of Bonaire, it’s usually overshadowed by Rincon Day, a traditional festival of harvest and Caribbean culture celebrated on April 30.